WELCOME to Bay Area Living and the Real Estate service RESULTS you deserve! Richard is a successful San Francisco & Bay Area Realtor with over 14+ years of experience. Richard has been setting sales and price per square foot records in S.F. and the Bay Area. A master negotiator who's helped hundreds of buyers and sellers throughout the Bay Area find the perfect home and get the best deals or price for their properties. When it comes to buying and selling residential and limited commercial real estate, his clients, many of whom are repeat or referrals, know him as the first and last person they ever need to call. Richard Sarro's valuable experience and expertise will help you reliably navigate the Bay Area's diverse and highly competitive real estate markets. As a respected affiliate of Zephyr Real Estate, Richard's unrelenting work ethics have him recognized as a Top-Producing Realtor (7) Seven times. First in 2009 and in six consecutive years from 2013, 2014, 2015, 2016, 2017 and 2018. A long time Bay Area resident himself, Richard knows the Bay Area by heart. More than that, he's had the chance to reach and explore almost every community and neighborhood across the Bay Area's nine counties. Let him be your guide to discovering the incredible diversity of lifestyles waiting for you here. Ready to work with Richard? As a loving father and husband, Richard Sarro knows the importance of having a guiding hand when it comes to real estate and financial decisions. He's a man of his word who's very passionate about his profession and his clients. He makes sure that each advice and analysis is backed up by solid research and actionable data. And that you understand every step of the process so that you can make the best informed decisions. His philosophy focuses on meeting the individual wants and need of his clients. He'll never pressure his clients into getting anything they don't want. He will never discriminate between his clients and he'll always put their needs above his own. Richard Sarro is a San Francisco and Bay Area Realtor who will treat you to the highest standards of the real estate industry. No matter who you are he'll always give you the respect and high quality of service you deserve. Visit this link to view Richard's client testimonials. As your San Francisco and Bay Area Realtor, Richard Sarro will pull out all the stops to help you achieve your goals. He will entertain no other client and focus all his resources and attention into making your goals succeed. 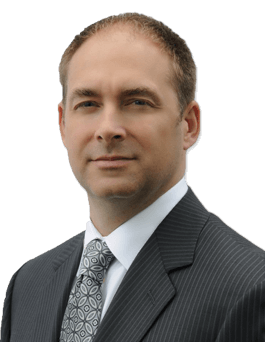 Aside from his comprehensive knowledge of local real estate markets, Richard uses the entire spectrum of modern and traditional real estate tools and techniques available to him. From advanced online tools to the good old fashioned industry connections he's nurtured throughout the years. Whether it's finding that one-of-a-kind gem somewhere in San Francisco County or getting that townhouse with the perfect mix of amenities at a specific price range in Alameda, Contra Costa, Marin Napa, San Mateo, Santa Clara, or Solano County, Richard will find a way to get the right home for you and your family. As your trusted selling adviser, Richard will create an ultimate pricing strategy to maximize your profits! He is your 24/7 consultant, who will make your property shine, through good design sense, renovations and staging. Richard is your authority for completing seller’s disclosures. He is your bullhorn to network and maximize your exposure and profits. And Richard is your tough & fierce Negotiator to get you the best price possible! You could say Richard Sarro began his real estate career about 26 years ago when he bought his first home: a 2-bedroom 2-bath condo that had an annual percentage rate of more than 9%. 5 years later, he sold it and made a cool $55K. And the rest is history. 1998 Bachelor of Arts Business Management - St. Mary’s College. 2008 Joined Zephyr Real Estate; obtained his Graduate Realtor Institute (GRI) certification. Visit this link for a complete list of Richard's Professional Qualifications. Congratulations to Richard Sarro! Richard is celebrating his 9-year anniversary with Zephyr Real Estate this spring and is based in our Pacific Heights office. Richard Sarro grew up in the San Francisco Bay Area, seeing first-hand the true design side of real estate through his father, Charles Grebmeier, a prominent interior designer with an incredible talent for creating architecture. These life events would further influence Richard’s future real estate career, when he purchased his first home in 1991. In 1998, Richard became an Alumni of St. Mary’s College, obtaining a Bachelor of Arts in Business Management. From there, in 2004, he formed an LLC with two partners for real estate investments and development throughout various states. In 2008, he joined the most respected, top producing real estate company in San Francisco: Zephyr Real Estate, where he obtained his Graduate Realtor Institute (GRI) certification, Seller Representative Specialist (SRS) certification, and Accredited Buyer’s Representative (ABR) certification. Richard’s passion for real estate is clearly mirrored in his work and further reflected in his client’s reviews. He sells real estate throughout the San Francisco Bay Area, utilizing his mastered craft of negotiation, immeasurable experience and technologically savvy approaches to help both sellers and buyers of residential and limited commercial real estate. His philosophy is simple: to meet the uniquely individual wants and needs of each client. The result has established him as a respected Zephyr Real Estate Top Producer, and a truly diverse clientele with consistent repeat referral business. We got to know Richard a little better when catching up with him about his Zephyr anniversary. 1. What do you love to do in your spare time? Do you have a favorite place to hang out in the Bay Area? 2. Do you have a favorite architectural style or building in the Bay Area? In the world? 3. 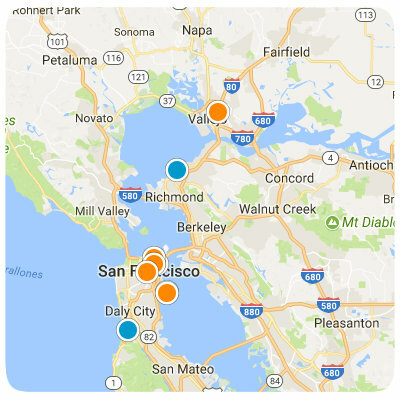 Is there one neighborhood in the Bay Area that you think is truly a hidden gem and why? 4. What neighborhoods/cities have you lived in?